A common feature of many initial teacher training programmes is a strong emphasis on detailed paper-based lesson planning. Whether this actually increases teacher preparedness to teach is questionable. Prompted by a TED Talk on Security Theatre and risk assessment, I suggest that focusing on anticipating problems and trying to eliminate perceived lack of control in lessons may not be helping new teachers truly come to terms with the realities of the classroom. * I meant ‘hopefully’… told you it was too late here! Thanks Barry – I’m looking forward to your comments! Hey, great take on Bruce Schneier’s lecture. First off, the last part where you mention that teachers should be anticipating opportunities more than problems is something every teacher should do. I also think that planning for problems is essential to mastering the craft of teaching to the point where most potential problems have been memorized and ingrained as part and parcel for the course. An experienced teacher will face most problems with little more than a slight shift to their original planned class. However, going further, I can start to see a situation where an experienced teacher whose vast amount of class hours has allowed them to master their craft, albeit in a stagnating way. A teacher that is tried and tested having encountered all sorts of unexpected events in the classroom could feel so safe that they become complacent, content and too comfortable. They then cease to seek for new and engaging opportunities to advance their tactics and the educational experience for their students. They’re not cheating the students, but they’re also not bending over backwards either. And your portrait of the seasoned teacher who could teach the lesson in their sleep (and possibly does! ), while extreme, is suggestive of the risk I see in placing too much store in our own capacities for seeing risks – as Schneier points out, we are surprisingly poor at it as a species! “Brave thoughts, indeed” would be the response in our staff room. I like to devote as much of the lesson as possible to the learners’ questions about using English and learning about their abilities. The rest is for tough expressive and communicative tasks. I find planning and plans and books try to manage this for you. They provide a scaffolding for the new teacher. It is helpful. But you begin to assume that the books or the plans understand the learners in the room and their needs. I find this is rarely the case. For years I taught the book/the plan, but now I try to teach the learner. I developed this way as a teacher because of the fact that my learners come and go quickly. I teach in Ireland and most groups include learners who come for short study periods. Their arrival on a Monday morning may be followed by a departure on Friday. If I plan to teach them something that they feel they use well- or actually do use well -they don’t really have enough time to transfer into another group. So every Monday we get to work on assessment and learner goals for the week. This is very different from the “course teacher” who has an unchanging roll sheet, the same classroom to use every week and a syllabus. I found a lot of comfort in Meddings and Thornbury’s ideas, but now I can see where they got them- probably working in a school like mine. Lesson plans are preparation for teacher action when the other variables of learner group, time, space, materials have been designed, supplied and settled. In university prep courses, secondary school courses and other deeply-funded courses lesson planning works to show good faith and a professionalism. I would love to plan a course some time. Using a lesson plan for dynamic groups of mixed short-, medium- and long-stay learners is not the best solution for the situation. Our English study centre is too dynamic for course planning. That’s why I agree with your assessment of paper lesson plans being security theatre. If I continued planning finely-tuned English “deliveries” I would have become one of those teachers who feels overly-tasked, hate their students’ questions and find doing their work well impossible. Preparedness leads to flexibility. Lesson plans are what computers use when they are employed to teach new items. They work but the learner must be at the zero. Takeaway for me: Will this kind of preparation make me a more flexible teacher in the future? Will this lesson help my learners be more flexible writers, listeners, readers and speakers? The teaching context you describe is very familiar to me too – which explains the common ground, perhaps. Some might use what you say here to support the view that the longer term a relationship a teacher has with their class, the more a deeply formalized written plan can be useful: I don’t think you mean this, but I’m curious – what would your response be? Very interesting post Anthony, as always. Through the years I’ve grown more against paper plans because I seemed to spend all my time filling them in and boxing off options. In the lessons I spent lots of time checking what was next, or that I hadn’t gone over time. This has often meant cutting off activities in an attempt to ‘get thru the plan’. Several students commented on this saying ‘we do too many things’ or ‘we would rather just finish 1 activity than do several’. As my plans were made to fit the syllabus this was not ALL my fault I hope. Looking back I realise that I missed out on many ‘moments’ that could have been interesting, which students would have enjoyed and thus would probably have taught them more than my trudging minute by minute through a plan. The other problem I had was when to plan. If I planned too far ahead I’d have to refamiliarise myself with the plan before the lesson and when I used to teach about 7 different courses this took too long. The other option was planning the morning itself or the day before but that sometimes felt rushed. In my last job I taught the same topic to about 5 different classes and just started out with what Dale calls ‘skeletons’ which I adapted round each class on the day, depending on who was there, the room I was given and the mood of the students. This did feel risky but also was more challenging as I had to think on my feet and chop and change activities and approaches. My current view is that I welcome risk now and enjoy it. I don’t write a 2 page plan anymore with timings and interaction but I do have aims, ideas and possible exercises in mind. I try out ideas from blogs, new ways of tackling problems I perceive in the class and also welcome student input through the class. I would not want to know my full lesson before I teach it as that would be like teaching robots or these ‘ideal EFL students’ we see in videos. I’ve never had such students and I wouldn’t want them. What I want is some space and thus some risk in the unknown because my lesson is not set in stone. It evolves to fit that specific lesson/class and is never the same. That’s what inspires me to keep teaching and makes me excited every single time I walk into a classroom. Several students commented on this saying ‘we do too many things’ or ‘we would rather just finish 1 activity than do several’. As my plans were made to fit the syllabus this was not ALL my fault I hope. Good points, Phil: learners often feel as constrained by rigorous planning as teachers might, and where institutional pressures require extensive paper planning, teachers are in a difficult position. Super post – I really like how you linked the TED talk (thanks for mentioning it, I had not seen that one) and lesson planning. I have been teaching for almost twelve years and worked with many teachers. There is one thing I have seen lots of them stressing over and devoting a great deal of time perfecting, polishing and typing out to the last detail. I am not against this in any way,m nor am I criticising them – it is always great to have a lesson plan on hand, as long as the educator is willing to be flexible. As you mention, does it cover educators in every case, no matter what happens in class? Definitely and unfortunately not. That is what should be pointed out to new teachers: be flexible. Lesson plans are okay, but they do not cover you for everything that may happen in class. Problems they have not thought of might crop up in the classroom. The self-evaluation by the candidate you mention says it all, from someone who found it out on their own that a lesson plan, no matter how meticulous and extensive, is worthless if the teacher is not prepared. Thanks so much for this post, Anthony! Thanks, Vicky. I also don’t want to be seen to be endorsing a näive, “ostrich management” approach (ie: stick your head in the sand and hope any problems pass you by). But as you say, perhaps we need to rethink what planning can do for new teachers, especially in terms of the opportunity cost paid in hours’ worth of midnight oil to produce the lesson plan documentation. Absolutely, Anthony! Totally agree. In fact, I am going to send this to all the teachers I know. This should be required reading – and watching! Thanks, Vicky – please do pass it on! After watching the video I immediately thought back to an #eflchat that happened about a month or so ago about teachable moments. There was a lot of discussion about what a ‘teachable moment’ was but not enough discussion about what to do when there is one. I think this kind of what you’re talking about (tell me if I’m wrong). I feel that once you have written a lesson plan you are trapped within that lesson plan, constricted and without freedom to move in any other direction but straight on. Trainees or relatively new teachers such as myself are scared to deviate when being observed. Therefore if the lesson falters there is a tendency to force it through regardless, because it was your lesson aim and what is written on your lesson plan. I hope I’ve got the right end of the stick here. Thanks Adam. You’ve hit the nail on the head there: observation anxiety compounded with extremely detailed planning can lead to trainees teaching their lesson as planned “by hook or by crook”, as it were. So perhaps the onus is on us trainers, if our courses still require lots of paper evidence, to try to assure trainees that it’s sometimes ok to take detours – perhaps even by intervening in lessons where we hear them apologizing for “having to move on” to make it clear that – as far as we’re concerned, they don’t! How about all the hours of producing lesson plans at the beginning of courses which actually never get used fully or not at all? Many employers demand LPs at the start, end or week by week and I think very few people give their real plans or an accurate postplan. Even the average week plans take a while. I used to spend hours routing through resources, then hours more compacting and categorising everything into a plan, then more time photocopying. By the time I walked in the class I was fed up with what I’d planned and was knacked. 3 hours work for a 1 hour class of ‘running through the motions’. I’m not advocating walking in with no idea and just chatting but ‘being prepared’, having a goal and going with the flow of student problems, questions, errors is what I always thought marked the difference between a teacher and an facilitator. Absolutely, Phil, couldn’t agree more! At one place I asked where my 20 weeks of lesson plans, syllabus and stack of copies would go. “They will go in the cabinet in the secretary’s office with all the others and then in a box in the basement”. As a test some teachers but humorous things in their plans but were never noticed. It was just a case of “tick, plans etc submitted”. Then a few years later when the gov inspectors came they were made accessible but I very much doubt they were read. I would be interested to hear what thoughts you had on changing the current lesson plan situation. Do you have something in mind? Not really, but I could imagine a really productive workshop with people like you, Oli, Dale, Phil, Steph, Chia and others who would like to find a new way of visualising upcoming lessons or recording them after the fact on a topic like this. There were lots of interested people at the Unplugged Conference a while back – it’s just a shame we couldn’t have locked ourselves away for just a few more days with some Tempranillo and Tapas for sustenance… I reckon we’d have cracked it. Thanks for your ideas – I think you have made an extremely good point and it’s something I have pondered myself over the years as a teacher. Six years ago, as part of my teacher training to become an MFL secondary school teacher, it was essential that I included an in depth lesson plan and evaluation for every class I taught, outlining so many details from objectives to timings to differenciation to learning styles catered for, and more. This was at a stage when I’d never even taught before and I found the whole process totally overwhelming. 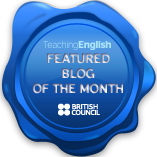 Once in TEFL I often went into classes without even doing a lesson plan (shock horror!). It was so refreshing to be able to learn from experience without the pressure to document everything. Needless to say, I always have a lesson plan now, but a plan that now has real meaning to me. I wonder how dangerous/advantageous it would be to eliminate lesson planning from the teacher training phase. These days I do use the overwhelming lesson plan that my trainers gave me in my secondary school training days, but I use it more as a checklist than a plan e.g. Have I catered enough for kinaesthetic learners? How am I going to stretch the faster learners/workers in the group? Am I providing enough opportunity to recycle material from past lessons? Perhaps this issue can be likened to declarative knowledge and procedural knowledge; it’s not that useful knowing grammar rules of a language if you can’t speak it. Maybe we can make use of our expertise in language teaching to help trainee teachers to move between declarative knowledge (ie key concepts in lesson planning) and procedural knowledge, which I believe comes from experience. Thanks for commenting, Maria: I’m sure your experience will be familiar to many. I don’t want to suggest that formal planning should be abandoned, far from it. Rather, I see a need for Shifting the tacit message it sends that by minute advance planning, control (and therefore security for the teacher) can be obtained, as this is at best a mirage and at worst leads to subtly teacher centered classrooms. So I would like to see different kinds of plans – perhaps checklists and more time for discussing them with trainees, where a scaffolded and exploratory conversation could take place: do you see what I mean? OK. Here’s a late night idea for an intermediate course. Create a simplified int can-do list (CEF) of grammar, vocab, skills etc and some topics. 1 page max. Then use this in Lesson 1 as a DT/NA and tick off what students can and can’t do. Make goals/aims with them (class and personal) and plan out a basic topic driven course which they decide upon. Also help them learn how to study and take control of their learning. Use Dale’s diary approach for keeping track of and planning next week’s work on emergent language. But also throw in the odd needed work where it seems necessary. Each class should be mixed skills and could use authentic texts and listenings which are read and mined at home and then discussed in class. Postlesson planning would tick off points from the list which should also be discussed with students as a living document to be added to. A noticeboard with post-its would be good. There could be 4 corners for skills and grammar and vocab could be in the middle in a circle. Regular reviews of learning goals and needs/wants would also be good. Books/copies could be used but not as ‘the course’. Of course, this ‘syllabus’ would depend on the students. A dream situation would be ones who just ‘want to learn/improve’. Like this, Phil – thanks! Really interesting post. I like the comparison to ‘security theatre’. But I do think detailed paper-based planning still has a place in teacher training programmes. For new teachers on a typical 4-week intensive course of which practical teaching isn’t the only assessed element, they’re often under so much pressure, so far out of their comfort zone, and so nerve-wracked by standing up in front of a load of people with no real idea what they’re doing, they need to get this sense of security from somewhere just so they don’t faint! I think this often starts, at least, with the ‘illusion’ of security that comes from a detailed plan. After that, they’ve got the tutor there in the lesson itself to guide them if they lose their footing a bit; and eventually, more experience will hopefully give them more ‘real’ security in their lessons. In the meantime, I agree with what Vicky says above about flexibility – I’d try to encourage trainee teachers to include flexible stages and activities in their plans as far as possible (coping with early finishers, answering random vocabulary questions, etc.). I also try to emphasise that writing detailed plans isn’t because reams of extra paper necessarily help anything or anyone in themselves – realistically, no teacher, however experienced or prepared, can predict everything – but rather that just the process of thinking through how the lesson will run helps the less experienced teacher anticipate what might happen and how they’ll address it (both problems and opportunities). Hopefully, this goes some way towards diminishing both the perceived and real ‘risks’ of the daunting experience of learning to teach. Finally, I think a lot of trainees don’t necessarily come to their initial training course feeling especially passionate about teaching and/or language. They may think it’ll be pretty easy, or perhaps they’re just doing the course as a means to some other end (e.g. travelling!). Arguably, having them create a detailed paper plan before they teach makes them take it a bit more seriously and responsibly. Anyway, I liked your ideas and the video. Looking forward to reading/watching more in future! Hi Laura – glad you liked the post. As I just said in my reply to Maria, I don’t want to say that formal planning doesn’t serve several useful purposes: as you listed. It’s the focus on risk and control that bothers me – how would plans (and trainee attitudes) be different if more explicit focus was placed on opportunities and options, I wonder? Would this also have the sobering effect that you see more “problematising” styles of plan as achieving? Good point – I wonder! That sobering effect is a key one when so many trainees aren’t really that bothered about teaching but just need the cert to get where they want to be. If I can, I might pilot a scheme of at least including this section in my trainees’ lesson plan pro formas, if not replacing other parts with it. We’ll see! And of course it’s worth remembering that the “I just need the cert” attitude is equally prevalent in candidates who come to such an initial course with a lot of prior experience and so who might be (even unconsciously) disinclined to put their practice and principles under close scrutiny (which requires being explicit). This sounds like a very good idea. I have been thinking of doing a similar thing with my up and coming unplugged project. My main idea was to take the syllabus from the front of the book that the class should be using and let them take it apart and re assemble it with the parts that they need to work on, haven’t covered or simply find interesting. The rest would be left out and a student driven syllabus would remain. I really like the idea of the notice board and post it notes. Would you mind if i put this into practice? I will let you know how it goes of course. Please. I’ve seen similar things in schools with little kids but also spidergrams used on BL courses to plot student progress. I’ve always like the idea of student work being put up too so this sort of combines them all. The best thing is that students can see what they’ve done and will do but that they help develop the course. With young kids they could put the post-its up. You could also have an online version using wallwisher or linoit. Keep us all informed on how it goes. This is supposed to be a Detroit warehouse full of LPs. I think we’re doing the environment a favour if we don’t use them as much as this. I think I see what you mean. Is it that you want to change what’s involved in the lesson planning phase to help teacher trainers portray the real purpose of lesson planning. You think that many trainees believe that by having a plan, they have a fail-safe plan – which is obviously not the case – and then they feel bad about things when they don’t go according to plan and they are unable to adapt because they think the plan is the only way to go? You think that discussing what the objectives of the lesson are and how they could be achieved in a manner of ways would be more beneficial than getting a trainee to simply list everything that’s ‘going to happen’ in the lesson? What sort of things do you think would be on your checklist? I read this psychology blog this afternoon, which is actually about parenting, but it reminded me of your security theatre blog because it talks about letting go of control if you want to be able to concentrate fully on the real task in hand and not be disappointed when the outcome is not what you expected. At least that’s what I read into it anyway! Yes, I think that is part of what I was trying to say – thank you for saying it more clearly! I think some of the ideas that Phil and the others are kicking about in the thread are interesting: more of a “choose your own adventure”-style plan (have to develop this thought later for the RPG fans out there…) rather than an ostensibly linear one. And thank you for the link – I look forward to following that up. Sounds constructive. More about providing opportunities for learning to take place than forcing goals on students. This seems to fit in well with a lot of what Scott talks about with grammar in that grammar and lexis work together. From a holistic view all the skills and language work together so breaking off pieces, labelling them and saying “today we will learn the 0 conditional only and 7 new words about holidays” is always problematic.Lindsey Clandfield says that most coursebooks are still grammar-oriented but this is under the facade of being topic-based. This means that every unit’s sole aim is to teach and practise X grammar point. I don’t know about other people, but many books I’ve used milk grammar points and just stick to them for several pages. Most students get to grips with it after a couple of exercises but then get interested and notice more and ask questions. This is where the language discussions and analysis begin and are more fruitful than what you have planned for. This stage should be allowed to run and not be closed down by “sorry, we have to move on”. Grammar and vocab work feed off each other. Following tight LPs (which are often just based on the coursebook) limits the class but also it is hard to anticipate when and where real learning will arise. Being prepared with ways to develop these seems more educational that telling students to stop and move on. In this way they will never take control of their learning and rely on spoon feeding. By the way, in my new job I have to write full LPs, lesson summaries and end-of-class revision sheets. All of this is done post-lesson as at least 70% of the learning develops out of my lesson framework. I think my boss will have a shock when I get observed. True Phil. WhIle I am a great fan of milking something for all it’s worth, this can get pretty old if the the “something” is a random, decontextualised grammar pattern! As for laconic, I love that word, and I shall try harder to become so! Thanks for stopping by, Scott – and thank you for that reference too! Thanks for starting off this discussion – it’s really interesting. I’ve been teaching for 3 years now, and each year my lessons plans have got shorter and shorter. As the plans get shorter, I get more confident in my ability to teach. But perhaps I needed to do those longer plans at the beginning to get where I am now… I think if I’d gone in with only a plan of a few lines back then, my classes would have suffered. I’ve been in the same school for 3 years, and we’re asked to write lesson plans for every lesson, but we are hardly ever checked up on! Only when we get the occasional observation. I think the idea is that if someone has to take over our classes at the last minute they know what we’ve been doing, which does make some sense. What I do believe is that we should be spending more time analysing our lessons afterwards than planning them beforehand. I have definitely learnt more through hindsight than through writing lesson plans. Shouldn’t our schools be asking us for lesson summaries, rather than lessons plans? Surely that would give them more of an idea of how we are developing as teachers, and where our strengths lie. And finally, instead of giving us notebooks to write our lesson plans in, we should be recording our lessons electronically. No more paper waste! Good points Anthony. I spend hours typing up e-plans that don’t capture the lesson that was. As I’m mainly teaching 1-to1 now I’d say at least 70% of my next lesson ideas come up in the class and from later analysis. These sort of ‘ferment’ between classes and then the night before the next class I sort of have a clear idea of what to do. I’ve also going as materials light as possible. All I take is my notebook, 1 max handout and then I use what’s there.As I’m teaching in a travel tour company there’s lots of brochures to use which is exactly what the students wants to talk about but in English. Thus, using the photos, numbers, diagrams and other visuals and stimulus lets us recreate the English versions without translating. As things continually ‘come up’ I need to think pretty quick about what to use to make everything as ‘in context’ as possible. A good example is from today when I realised the student couldn’t explain dates properly so we recapped the language and then used her desk calendar for her to explain the best dates for visiting different countries. This approach doesn’t feel risky anymore or unplanned. It’s what I’m trying to do and I had planned on doing dates in a later lesson so this just moved it forward. Now this way feels more natural and I feel more prepared to do more of this in later lessons. I wouldn’t feel as comfortable pulling out a random handout with situations that have nothing to do with the lesson. Thanks for that window on your classroom, Phil: what would stop you carrying on? Institutional pressure? Yep. My boss mails me and says “where are the plans?” and reads and comments on them. A couple of aims and 10 sentences to describe activities does not represent much. Things like ‘discuss….’ or ‘role-play..’ neither. What I found out today was that the student doesn’t know what she wants so I have a syllabus based on the DT(false beginner)/NA (some writing focus) which she isn’t keen on and a book (writing) which is upper-int. For the DELTA I put a lot of ‘discuss mistakes and extensions of language’, ‘discuss the task and the language used’ and also included peer reviews with more open-ended tasks.This was a real attempt to show what I do. Probably a really simplified version would be better. P.P.S. I’m taking requests for interviews with famous people for AltEFL gurus in case you know anyone who wants to interview or be interviewed. great post. it took me back to my 1st years of teaching, when i’d have a 4, 5-page lesson plan on me, yet my classes would leave a bad taste in my mouth. but now it all made sense: i was overly planned and not at all prepared. 😉 thanks! and as for teacher training, indeed, paper-based lesson planning (at least the detailed type) could be sth left for later. it certainly helps trainees think about classes in advance (as opposed to trying to “wing it” because teaching is not a “real job”), but it can be counter-productive when trainees are thinking about minutiae rather than working on their confidence w/ the basics. Thanks Natália: glad it spoke to you! I think you’re right to plead for more space for the fundamentals as opposed to the details, and I’m glad the planning/preparation distinction makes sense. Any ideas how a paper-based process could avoid encouraging too great a focus on minutiae? I remember seeing a CELTA trainee freeze and then completely lose it in one class she taught on the course. It was horrible to watch and eventually she just walked out. At the time people said she was stressed, ill or unprepared. The reality was she was OVERprepared. She’d spend days working on one plan of 30 minutes and believed she had to follow everything to the letter. The problem was when one activity panned she couldn’t go onto the next and the rest of the planned suddenly became useless and she didn’t know what to do. She stood in silence, then played with papers, then apologised. All with tutors scribbling notes. After she left the tutor came on and recovered the class but the damage had been done. If she’d have had a ‘looser’ plan she probably could’ve survived. Well, I think. In the end she failed the course. Follow the plan! Is what we were taught. Diverging from it always made people interested but made me sweat as I thought I was wasting precious seconds off my 5 mins T-SS interaction. So true, Phil – I even watched it happen to a candidate recently. Nothing going wrong, Everything objectively sound. Then they have a blackout and I suggest they leave the room to recover while I continue with what they were going to do. After a few minutes they return and take the class back over. No reason for it except the pressure to “get it right”, meaning, make the plan work. Felt really sorry for them! Would you attribute this to obsessing over lesson plans Anthony? If so, wouldn’t a more flexible approach help trainees and avoid such soul destroying moments? Also, with that kind of experience what level of confidence will they have in their own teaching? Yes, it really shows that you are training PEOPLE and not just eliciting and drilling robots. I had similar experiences at uni during TP when the teachers would just leave and go “good luck”. The phrase ‘sink or swim’ really seems appropriate but for those that do sink it can be soul destroying. Maybe less planning and more mental preparation may help as I remember a lot of trainees saying that they prepared and analysed their class so long that they lost interest or just want crazy. Maybe there should be a warning sign that says ‘beware, potential overplanning ahead’. Yes, and I spoke again to this person after your last email. Turns out she had felt straitjacketed by the amount of work she had put into her plan, so although on the outside the lesson was unfolding well, for her, on the inside, it was showing some deviations which she felt threatened by, and this led to a loss of confidence. So we spent a lot of time debunking the myth that plans serve any vital purpose once in-flight – or rather, sought to put plans firmly in their place (which is documentation of thinking about a lesson up to 30 minutes before you start, but of only indirect relevance once you start). Related to your other point, I think there is a Golden Mean, a bit like the porridge or the bed that pleases Goldilocks, not too much, not too little, but just right. I’ll be interested to see what impact this conversation has, if any, on the in-flight decisions this group makes from here on in. 2. How can we build this thought process more explicitly into our Celta course? Perhaps the Probs/Sols session can be adapted to include ways to imagine making the most of opportunities that emerge from the students? Or at some point explicitly talking about how to actually make the most of emerging language beyond putting it on the board during feedback? I mean turning it into a small practice activity or something? Leaving more “space” in the plans they create to be able to make the most of opportunities that arise in some way? Practicing doing this, just as we get them to practice giving delayed feedback on language? I think this is worth exploring. Thanks for getting me thinking. Absolutely – “There are more things in Heaven and Earth … than are dreamt of in your philosophy”, as Hamlet might say about lesson planning, were he around. And yes, you have anticipated my thoughts for our course precisely – making space for exploring openness rather than showing them how to close down the space. Trickier, more volatile, more risk-laden: but for all that, more real. So, when can I expect you to have that session worked out? While we’re on the topic of LPs. One thing which at first I found difficult (still do) to write and follow are timings. When I’m at the planning stage it’s very tough to judge how long an exercise will take. Yes, it’s easier to judge a student gapfill or reading comp exercise if you know them well but with any kind of talking or even corection/FB activity you can’t judge what may come up and need further explanation. I’ve also found myself in the past just using 5/10/15 minutes (visually pleasing) instead of 2 or 6 minutes (realistic)for example as I’ll need a degree in maths to add up all the lesson. As a result I used to end up focussing more on timings than the activities and had to stretch or shorten them to fit this LP. Another point is the ‘hidden interactions’. If your plan says ‘SS complete….’ then ‘FB and correction’ is it given that you will jump in and intervene if things go round or are difficult and how about adding further practise if needed or dealing with student questions/problems? If I really wrote down all the interaction my plan would be pages long. All this seems to add up and means that the plan is often not a living representation of the lesson, it actually seems to limit it from the outset. You’re right, Phil: both timing and interaction are tricky things for anyone to get right, let alone new teachers. This would be fine if we weren’t assessing them on their ability to do so! Of course, the entire purpose of planning is to limit things from the outset. whether this is good or bad, helpful or problematic. is the question. For me, the jury is out but (as I’ll be continuing in a reply to another comment), this post here and my concerns are less to do with planning and more to do with the residue of planning – the plan itself, and its effect on teachers. Sorry I´m a bit late joining the debate… too busy planning stuff, I guess! As a CELTA trainer, the current course I teach on uses TP points based on a coursebooks to help trainees at the beginning. One of the most difficult things is breaking down a coursebook into allotted chunks of time. I´ve seen some trainees cover a 40 min “slot” in 15 mins, or not get through the material at all. Obviously the time the material takes depend on what you do with it, and that can be completely different for a “newbie” as opposed to an experienced teacher, or a teacher who is prepared to pick up and run with what emerges, as opposed to one who just follows the book. The whole assessment aspect makes this more stressful if a trainee fails to get through the material assigned to them, for positive reasons as well as negative, and this makes both trainee and trainer feel bad (if they didn´t achieve their aim!). I try to get trainees to assign timings, based less on “actual” time, and more on the balance of time. Getting them to think about planning more time for the students to be doing things and interacting, and less time on the actual setting up and presenting. It´s only practice that makes perfect, and timing is never going to be perfect, even with practice. I always tell trainees to plan backwards, or outwards, from the main activity so they don´t waste (very perjorative, sorry! devote, perhaps…) time at the beginning and then have to limit time on the meaty stuff where students are actually producing. Getting the overall “feel” of the lesson balanced is more important than counting minutes, I suppose would be my point. Absolutely, we had exactly the same experience when we used coursebooks in the way you describe. Since we stopped, it is easier for trainees to face the reality that when they over resource a lesson, the root cause is fear of running out. When they see that this never happens, they have to accept the fear and work through it or accept that it is THEIR decision to overload their lessons in future, not one forced on them by tutors or provided materials! I enjoyed this with my coffee and bagel this morning. Challenging thoughts. I agree that lesson plan writing isn’t a panacea and something that will help us avoid the contingent and what we term in education “transactional” nature of the teacher/student relationship. However, I do think that dogme and many espousing more “natural approach” type methods, seem to over value an extreme no book/ no lesson plan approach, while not dealing with the important reasons why lesson plan writing is vital, especially for newly developing teachers. Accountability to others, supply/substitute teaching reference, reflection on delivery/learners needs, anticipation of problems (all good TT plans will have this section), itemization of resources, reference for future planning/course review. And there are many more. But yes, lesson plans shouldn’t become a security blanket and trainers really have to give teachers opportunities to swim on their own and develop a toolkit that gives them training on adapting to the class “as things happen”. Pedagogic knowledge can’t be complete without this. Glad I didn’t put you off your breakfast, David! Your comment really gets at the point I am really interested in, although I suspect we are not in agreement: you say that lesson plan writing (my italics) is “vital” – I would like to suggest that this reifies the product rather than emphasising the process of preparing to teach. After all, the majority of the advantages you mention (reflection, anticipation, consideration of resources, consideration of timetable fit etc) can all perfectly adequately be achieved without requiring their enumeration in a specified format with a premium of detail and adherence to a particular style of written discourse (and I don’t think anyone who has read a range of lesson plans or documentation intended to support trainee teachers produce such plans is in any doubt what I mean here). In other words: I would agree that much of what becomes embodied in a plan is a desirable residue of the much more important process of planning – but this process is one that can perhaps be better and more memorably achieved in conversation and simulation than in drafting a formal document. The other points you mention (to facilitate cover teaching, to provide validity to external scrutinizers etc…), these are certainly pragmatic reasons for such plans to exist, but surely this is a no reason to think that the production of such documents contributes in any way to the positive development of someone into a teacher on a short intensive training course? Learning how to distill ones thinking into a given format is a useful skill, but it is, arguably, better and more swiftly learned once the primary thinking skills have been mastered, rather than while this acquisition is supposedly going on. Or am I way off here? Appreciate the reply and clarification. I am glad you note that a teacher should formally plan in some fashion. Not “reifing a product” or any such thing. That can happen as you suggest but there are merits to “products”. Would you ask that a student just tell you how they’d do their project rather than have them organize and produce it? I don’t think any good teacher trainer should promote the idea of teachers in their program planning as you suggest – “their enumeration in a specified format with a premium of detail and adherence to a particular style of written discourse” . Agree. Teachers preservice or inservice should be given the freedom to plan lessons as they wish. We all have and bring to the table our own “knowledge and belief set” and this should be the starting point of teacher development and training. So I never did mean that lesson planning should be “filling in preset boxes with information”. But I still see high value in a piece of paper symbolizing the teachers initial preparation for the lesson – even if it is only a piece of paper designed to help compare with the reality of what did happen in the classroom. I think you vastly underestimate the power of self reflection and in particular “reflection in action” that happens during the planning process. It may be through “conversation and simulation” as you suggest – but what is wrong with a piece of paper and thinking of your own accord? I’m a student of Schon and his design process for teachers as “reflective practitioners”. I don’t think you can have this without teachers planning with a lesson plan (and again, I’m using a very liberal interpretation of what a plan is – same as I would with “curriculum” which should always have the enacted curriculum as central). Yes, do lesson plans have pitfalls for a teacher? Surely. But to discount them as not leading to teacher development is simplistic. The devil is not in the details but how they are done. Here’s a nice article others may want to read – in particular the section “Reflection in action”. You end with “Learning how to distill ones thinking into a given format is a useful skill, but it is, arguably, better and more swiftly learned once the primary thinking skills have been mastered, rather than while this acquisition is supposedly going on.” I think we agree there too. I don’t think any trainer should spend time on “how to write a lesson plan”. That is formalistic nonsense and authoritative/straight jacketing. However, time should be spent relating the important things we might consider in a plan and leaving teachers open to frame it however they wish. I’ve been known to accept lesson plans on post it notes but I still demand teachers to do some written planning – there is a lot that goes on during that process that I think valid and helpful towards a teacher’s development. Seems from what you say, David, that at bottom we don’t differ much at all. My main issue was not with plans and planning per se, or to claim that they were barriers to reflection; rather, it was the very particular issue of the false sense of security that they can engender. Have you experienced this phenomenon with trainee teachers you have worked with? If so, what approaches have worked for you in avoiding this from occuring? But I don’t think I am “vastly underestimating the power of self-reflection” – on the contrary, I think I was arguing for a more open and positively loaded approach to the reflective cycle, in emphasing the centrality of exploring opportunities afforded by circumstances, students and resources in a lesson at least as much as seeking to control out variables with a negatve mindset in the form of “anticipating problems” etc. My sole concern is the negative backwash on a trainee teacher’s attitude once in the classroom that a lesson plan, formally submitted for assessment as part of the lesson observation process, can have. This seems such a widespread phenomenon that it needs serious questioning. Where we may differ is in the the fact that you are using the term “plan” liberally, I was using it with the perspective of trainers and trainees on a range of different formal training courses in mind who may not have the luxury of such a liberal definition. You may be happy to accept a wide range of styles of plan/planning as an observer/evaluator (as, incidentally, am I – style does not win over substance in my neighbourhood! ), but this is not necessarily the norm. Thank you for the thought-provoking responses! Took me time until I heard the talk but very glad I did. Having a community to discuss / agonize things with can help teachers step out of the security zone and dare to try new things. Important to discuss these emotions. Thanks for stopping by, Naomi! Good point about community and the need to step “out of the security zone”. This is where I have been particularly impressed by the conversations about their lessons that current trainees with us are having. slowly but surely they are talking less about problems and control, and more about opportunities and responsiveness. I think this is turning out to be a great discussion. Are they the same thing but with different names perhaps. When I started I used to try to predict problems and how to get past them and then in the port-lesson phase thought about how I handled other problems. Now, I don’t see any problems but as you say, ‘opportunities’. From being an extremely in control (or so I thought) CELTA grad now I have less and encourage problems as they often have real learning opportunities in them. Nevertheless, some of the serious problems I’ve had such as disruptive, uncooperative or violent students really do need a seasoned hand. But saying that it was only when these issues came to a head did we make progress. Any thoughts on serious problems like these and how to deal with them? Also, how do you feel about just dumping the plan if you enter a class and something has happened or if the plan is just inappropriate? P.S. There’s a good article about CELTA training and LPs in ETp, The writer is really adamant about extending the length of the course to accommodate new ways of teaching and learning as just learning TTT or PPP doesn’t cut it anymore. Thanks for the ETp tip – I really must finally subscribe. I think Phil´s serious problems might go in Bruce Schneier´s “rare spectacular risk” category! In language teaching, new trainee teachers always underplay the risk of the familiar. Why? Because as native speakers (the ones that are, of course), the language is too familiar and they don´t perceive that anyone would have a problem with the way they grade (or don´t) their language, for instance. It´s the ordinary, mundane risks, that they have to watch out for. And the opportunities too – but how are they supposed to gauge these? It was only when I did Dogme as my DELTA Experimental Practice that I as a teacher began to really appreciate the opportunities and feel confident in taking the lesson down more useful routes than I´d planned. Any ideas for how to give guidelines to trainees on picking opportunities would be welcome! Agreed with your classification! Have to put off answering your question til tonight, though, as I have to go to work 😉 hope I get some good ideas there! I was wondering if it would be possible to write the lesson plan after the lesson. Encouraging the teacher to go into the lesson with more of a skeleton lesson plan, making whatever notes they felt were necessary but not within the rigid lesson plan format, no timings, T-S, T-T-T etc. Simply some clear aims, activities and materials to be used. The teacher can make what ever additional notes they please in whatever way. The lesson takes place and whatever happens, happens. The lesson plan is then written straight after the lesson or that night depending on how traumatic it was. This time the lesson plan is in far more detail a complete breakdown of what happened as well as why it happened. This would then allow the teacher to highlight and see where the lesson plan changed direction. Go back and compare with the assessor, get the feedback and talk about the decisions that were made. Repeat the process. As the lesson plans build up it might be easier for the teacher to highlight the ways and reasons that the lesson is taking a new and unpredictable direction. Perhaps a pattern will emerge. The lesson could constantly be changing because of the actions of the teacher, perhaps it will just be random. Nonetheless the ‘teachable moments’ and the teachers response to them can be discussed and reviewed rather than missed or simply dismissed because it wasn’t on the lesson plan. For me, this gives so much more flexibility in the lesson itself and takes the stress out of writing a lesson plan. Instead it creates an incredibly rewarding reflective practice to make the feedback stage more about what the teacher learned than what the observer thought was right or wrong. I’ve toyed with the idea of retrospective planning, Adam: what has stopped me up to now is the concern that over time this may become difficult for trainees. On the one hand thinking about up coming lessons while on the other retrieving past ones from memory and notes to archive them in sufficient detail to satisfy assessment requirements. Now, I can see some positive backwash between these two processes, but is it feasible? Or rather, how could it be made feasible? Three thoughts come to mind. First, planning has a way of making you prejudiced toward seeing certain problems. This usually causes you to miss other problems. This can make it hard to respond appropriately in class. Second, many have latched onto “unless you are prepared for the class”, without mentioning what that might look like. What might that look like? Third, I don’t think the long detailed LPs called for on my CELTA course helped me much. Looking back on it, they were a distraction from learning to teach people a second language. Like learning a bunch of grammar, but not being able to speak/write/understand a word. Good comment Chris. I’ve also been thinking about being ‘prepared for class’. For a while now I think even with a plan fully prepared on my desk the day/week before I’m still not prepared. The journey to work where I mentally prepare for it seems more productive as I’ve had time to think it over and often realised things on paper won’t work as I never have ‘idea EFL classes’, if they exist at all. Thus, I think of the ‘reality of the lesson’ and what will really happen/could happen e.g. students late, lethargic, quiet, computers broken, no books (negative) or interest in an activity, questions, recap of last lesson, extra homework analysis/work or change of topic due to other needs (different course, job app, internship app). could fall if the homework wad not done (1) or if students are tired (2) or not interested. They could also fly if the homework raises lots of questions and if the topic is interesting. Therefore, my postplans have provided the basis for the next class as I have taught the same topic to several groups. Yet, after each one the postplan evolves again and again. Quite fun! the best part was about the underestimation of the anticipated problems. Thanks, glad you liked it! I think you’re right that larger classes represent greater challenges – but also more positive opportunities, wouldn’t you say? Do you think the larger the class the greater the challenges or is there a group mentality and behaviour where people stay in line and follow the herd. A bit like ‘informational cascades’ when after the 2nd or 3rd follower there is an extremely high chance of everyone following. What’s interesting there is that there are many cases of people copying bad or believing wrong behaviour of incorrect information just because everyone else does. With 1 to 1 sometimes it feels a lot more challenging and some exercises get done in a minute but others take ages. Also, a lot depends on the student’s behaviour and state of mind. Hi Phil, I just think that larger groups entail more variables, and pose management challenges different from 121. Beginning teachers sometimes feel more comfortable treating their groups like 15 121 classes running in parallel; though why this should be is a mystery to me. You’re right though, about the challenges native to 121 – it’s certainly not an arena in which to get complacent! Good point you made there about critical mass in group behaviour – I’ll have to follow up on that: apropos, have you seen Derek Sievers’ TED talk “how to start a movement”? Do you think the CELTA should provide varied class size experiences?I remember doing 121 homework assignments and I recall some unis in London providing ‘practice classes’ for trainees who delivered classes to foreign students and partners of students. I tried to arrange some voluntary ‘TD/Free English classes for staff’ in my old job but the powers that be didn’t get why. This would have been great for us teachers to try out/develop new ideas and materials with different class sizes and mixed levels of subject teachers. Could you or would you run something like this in a school/uni? Cambridge ESOL certainly agree with you, Phil; it’s now possible to have a couple of Teaching Practice experiences as 1:1 or 2:1. The provisos are that a) they are not one of the two final lessons a candidate teaches and b) that relevant supporting input has preceded the lessons. I’ve yet to hear of a centre that has taken advantage of this new possibility, though. Have to ask around. The problem in exploiting this, it seems to me, is logistical – co-ordinating tutors, trainees and tp students. I think in an ideal world, there is a lot of good in your small to large group staggered introduction (again, I think the difficulties are logistical when evaluation is as regulated as it is on courses like CELTA (such regulation serves many useful purposes but it is naturally a braking force). Would like to hear more about that TD attempt of yours – what exactly did you envisage and what was the barrier? Ah damn. They nicked my idea. This could go in Scott’s blog. Well, we all had Thursday afternoons free, students too, so as I was studying and struggling with new concepts I thought about running free classes where I and all the teachers could work on areas we needed and offer other non-native teachers free classes or even students. I thought this would be good TD for everyone and could lead to observations and then follow-up work such as “my observer noted I …. so I’m going to…and try …in the TD class”. I wanted to get away from an ‘experimental’ tag. I also thought it would be a good way to more informally with students who wanted to be there. As they would have been a series of one-offs with unknown levels and numbers I also liked the idea of it being challenging. I don’t see what TD should end with the CELTA or DELTA. In fact, in between them should be the time when you study and TD most. Or am I wrong? That sounds really interesting – and I agree that development is what happens when you’re not on training courses! Active colleagues like you should be really appreciated by organizations to which they belong.